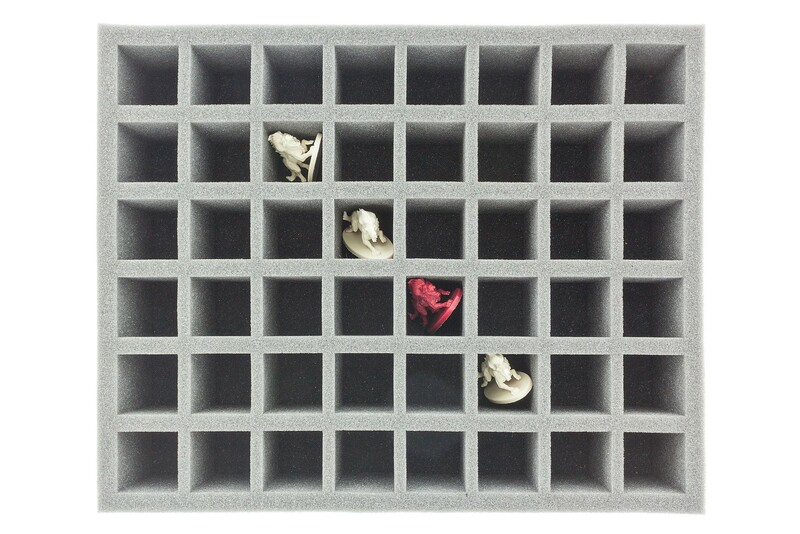 The 70 mm foam tray with 48 compartments for tall miniatures - eg spearmen sword master or Musketeers. 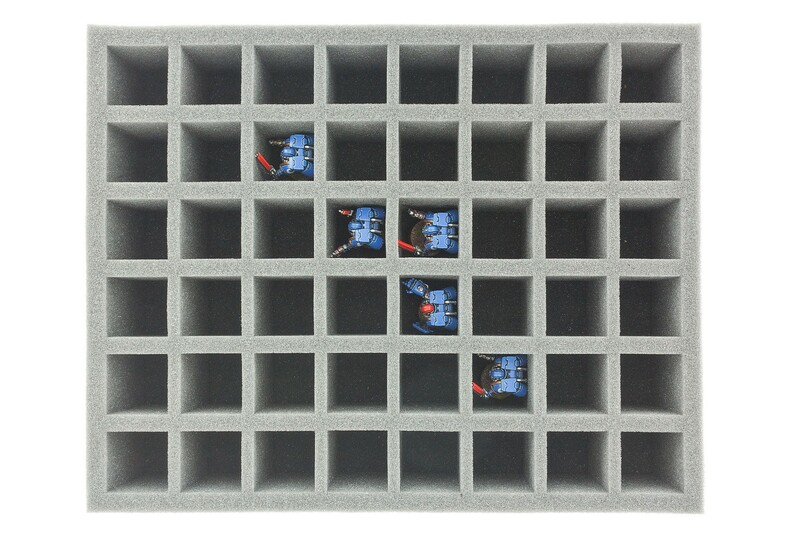 Even colors in color / paint pots can be stored well in it. 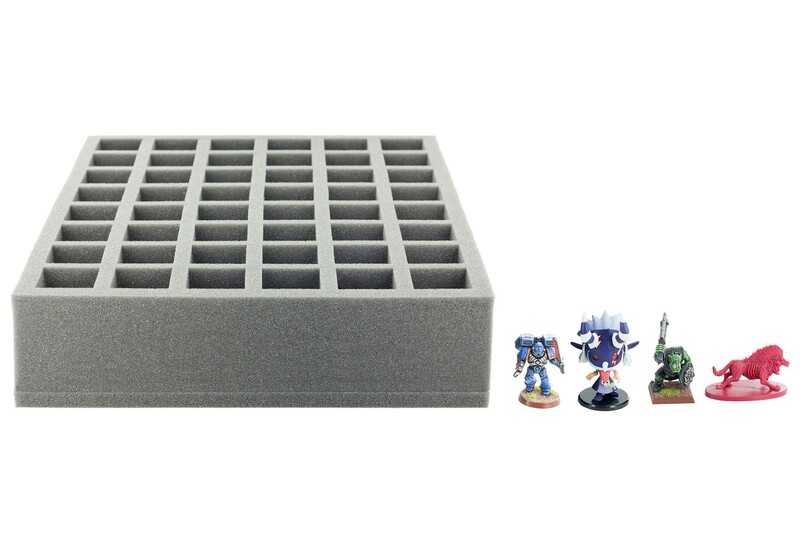 Ready to use foam tray with 48 quadratic compartments (34 mm x 34 mm x 60 mm height) for all minis with a base up to 30 mm diameter / side length. 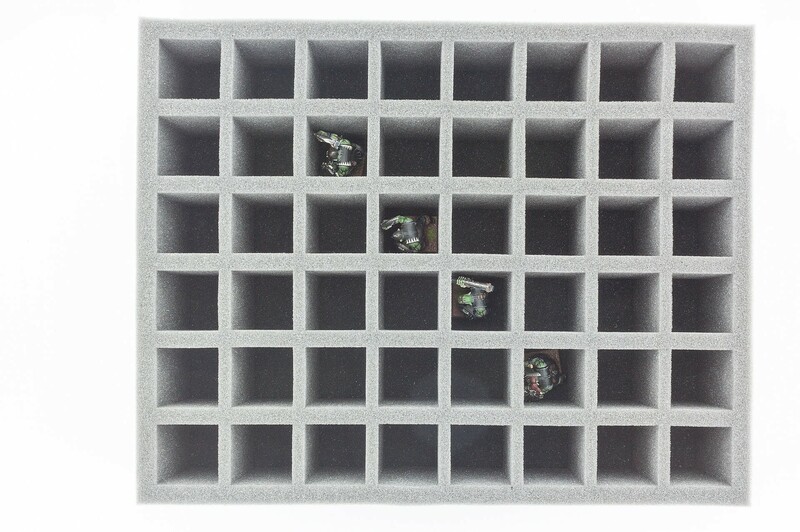 This foam tray fits also Games Workshop Citadel Colors Paint Pots, Vallejo Model Paints or Army Painter Warpaints. 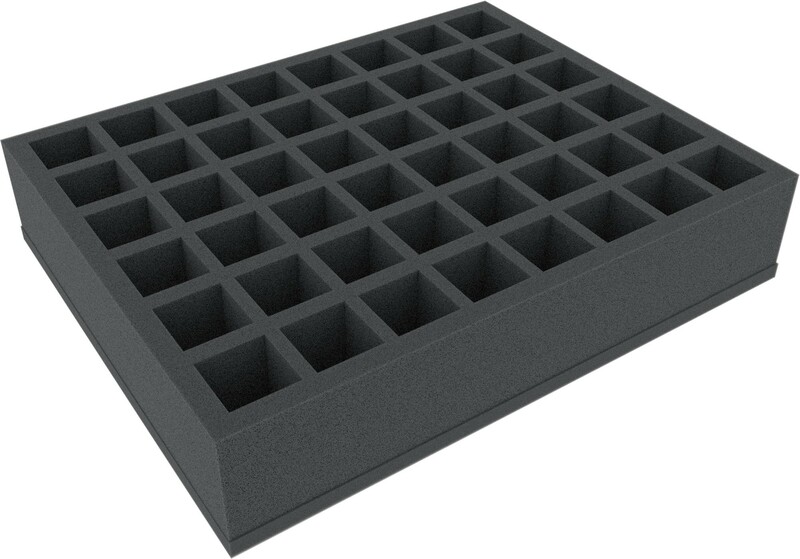 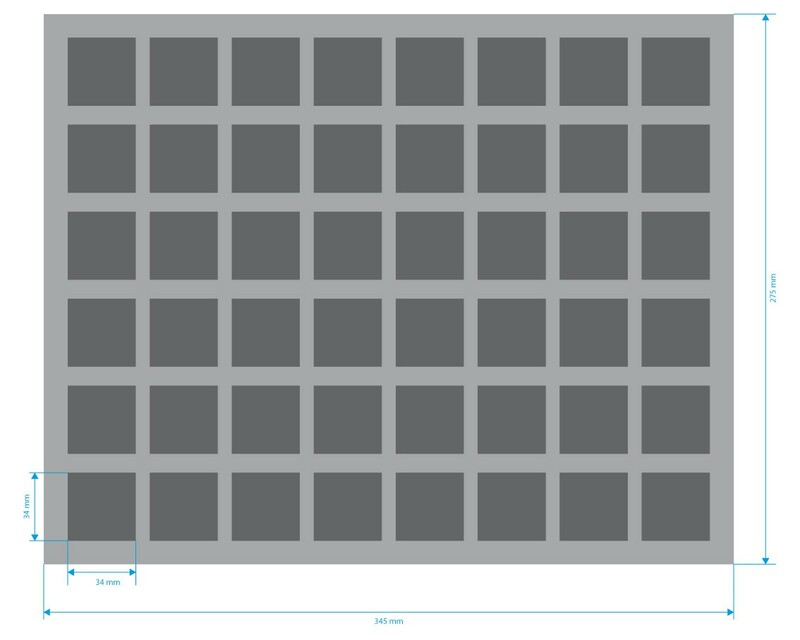 The 70 mm depth of the foam is result from 10 mm foam base and a foam tray with 60 mm effective usable thickness.